Disclaimer: I rec’d a copy of this book from the publisher as part of their Blogging for Books program. I rec’d no other compensation and was only required to post an honest review of the fictional work. I like Cindy Woodsmall’s writing — I’ve read three or four of her novels as well as thoroughly enjoying her Plain Wisdom (co-authored with an Old Order Amish woman). I like her stories about the Amish. I like how she merges modern-day life with the Amish lifestyle. But I do have to say that this trilogy is not the best example of her writing. These books were written back in 2007/08, before Woodsmall really found her voice, and I get the feeling the publisher brushed these off and re-published them because Woodsmall has become such a popular writer of Christian/Amish fiction. The premise revolves around a rebellious young Amish woman who, through circumstances within and beyond her control, leaves her home and travels into the Englischer world. Throughout the story, Hannah Lapp is pushed and pulled into her Old Order Amish world, the Mennonite world of a previous romance, and the modern world of a nursing student. Hannah at times is a sympathetic character with her desire to be true to her roots, her faith and her family. But at other times, brings her troubles on herself: she tends toward the willful, self-centered, liberated woman who wants to leave the Old Order … but also wants to remain in the safety of her past — a case of “having her cake and eating it too.” Her family is fairly dysfunctional with an over-bearing (and undemonstrative) father, a mother who sits quietly while all revolves around her, and a sister who has “issues”. Add to this a brother who doesn’t know what to believe and you have the Lapp family. The other Old Order Amish characters are interesting but again, sometimes sympathetic and other times not so much. In fact, my favorite characters are those in the second book, when Hannah travels to a small town in Ohio and delves a bit into the Englischer world. While Woodsmall’s signature story-telling is evident in these books, they really are more like long magazine stories that have been divided into chunks to make three separate books — but you can’t read one without the others (a personal pet peeve!) and in fact, the first two DON’T come to closure … you must read the third for conclusion to the main and sub-dramas. I felt like these books were written before Woodsmall really had a handle on writing: at times the books read like Woodsmall is against the Old Order Amish, implying that their ways of dealing with women are wrong and in fact, may be life-threatening. Than she flip flops and portrays the Amish world as better than our modern world. It was quite confusing. 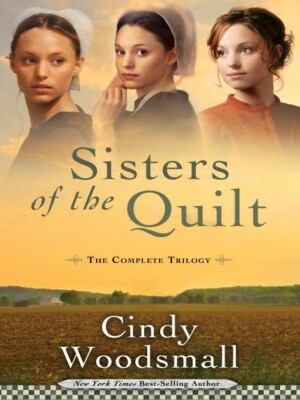 Overall, if you haven’t read any Woodsmall books, DON’T start with this trilogy … read her others first and then delve into this one if you can’t get enough of Amish stories.